Georgetown University neurologist R. Scott Turner, MD, PhD, found that almost half (43%) of tested subjects nationwide who has mild to moderate Alzheimer's disease were also glucose intolerant (pre-diabetic) or are already diabetic. The study suggests a link between the two disorders and opens the subject up to further analysis. Pre-diabetes is a condition where blood sugar (glucose) levels are higher than normal but not high enough to reach levels considered to be diabetic. It could be a precursor to diabetes but with proper treatment and therapy, could be avoided. A recent study show that there is a 56% chance of pre-diabetic people to regress back to normal blood sugar levels following treatment and therapy. 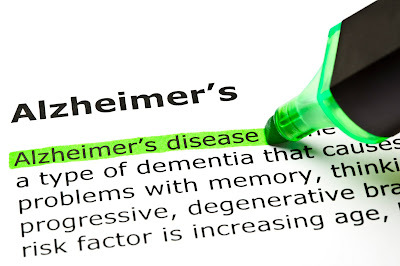 Alzheimer's Disease is a neurological condition that affects the patient's brain functions such as memory, thinking, cognition, and psychological behavior. The disease slowly progresses throughout the whole of the brain destroying healthy brain cells. It has no known cure. Coincidentally, a separate study showed that Rosiglitazone,a drug used for diabetes, showed signs that it can restore the neuronal signaling required for proper cognitive function in patients with Alzheimer's disease. When Georgetown University neurologist R. Scott Turner, MD, PhD, began enrolling people with mild to moderate Alzheimer's disease into a nationwide study last year, he expected to find only a handful of participants with undiagnosed glucose intolerance, as all the patients were already under a doctor's care and those with known diabetes were excluded. But Turner says he was "shocked" by how many study participants were found to have pre-diabetes — a finding that is triggering important questions. Turner's study examines resveratrol, a compound found in red grapes and red wine, to see if it might change glucose levels in patients with mild to moderate Alzheimer's disease (AD). Turner says resveratrol is thought to act on proteins in the brain in a way that mimics effects of a low-calorie diet. "We know from animal studies that caloric restriction prevents diseases of aging such as diabetes and Alzheimer's," explains Turner, director of the Georgetown University Medical Center's Memory Disorders Program. "On the flip side of the coin, having diabetes increases one's risk of developing AD. So perhaps by improving glucose tolerance, we will prevent or delay both diabetes and Alzheimer's." To join the resveratrol study, participants were first given a fasting glucose tolerance test to obtain a baseline level, and then retested two hours after eating. During digestion, the blood sugar level increases, but the pancreas produces insulin to lower it. A high sugar level after two hours reveals glucose intolerance (pre-diabetes) or diabetes if the level is very high. "The number of people with glucose intolerance (pre-diabetes) was much higher than expected," says Turner. "I was surprised by how many people didn't know they were pre-diabetic, and these are individuals who already get the best medical care." Five (4 percent) of 128 participants had impaired fasting glucose levels while three others (2 percent) had findings consistent with type 2 diabetes mellitus. Of the 125 subjects who completed the two-hour test, 38 (30 percent) demonstrated glucose intolerance while 16 (13 percent) had results consistent with diabetes. Thus, the overall prevalence of impaired glucose tolerance or diabetes at two hours was 43 percent – or almost half of the individuals recruited to the study. Turner asks, "How does glucose intolerance or diabetes lead to AD? Does the inflammation associated with AD trigger glucose intolerance? Or do both events create a vicious cycle of Alzheimer's and glucose intolerance?" Turner's study isn't designed to answer these questions, but it might provide important clues. Turner says while a glucose tolerance test is not typically ordered by neurologists, "this result suggests that perhaps we should test all our patients with early Alzheimer's. It's a simple, inexpensive study that reveals critical health information." Turner will discuss his findings at the Alzheimer's Association International Congress in Boston on July 14. The resveratrol study is sponsored by the Alzheimer's Disease Cooperative Study through a grant from the National Institute on Aging. Turner reports no personal financial interests related to the study.